DMN is a global leader in the design and manufacture of rotary airlocks and diverter valves, offering tailor-made solutions for the bulk solids handling industry. 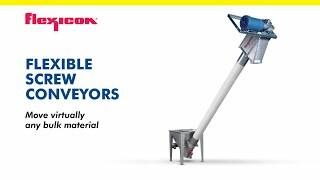 Our valves have a well-established reputation for handling a variety of dry powders and granular materials in the global food, dairy, pet food, pharmaceutical, chemical, mineral, grain handling, power, and biomass industries. In order to meet system-specific requirements, DMN offers versions that are USDA Dairy Accepted, pressure-shock resistant up to 145 PSI, flame proof, ATEX compliant to Directive 2014/34/EU, EHEDG Type EL Class I and/or EC 1935/2004. DMN has been designing and manufacturing rotary valves, diverter valves, and other related components for more than 45 years. As an independent company with no involvement in system design, our sole activity is the development, manufacture, and sale of these components. Our many years of experience and long-term relationships have resulted in us acting as a major supplier to some of the most reputable system integrators and multinational companies in the world. Our Research and Development Department continuously evaluates and, if necessary, upgrades our components to meet the ever-changing needs of the market. Don’t Make Valve Maintenance Harder Than It Has To Be!